Amplify your shed with our shed flower box! 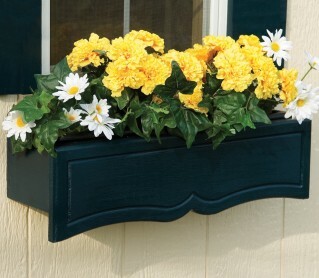 Our window box adds an elegant touch to any shed. With easy assembly, start planting your favorite flowers in our functional flower box. Our shed accessories have durable construction, built for our outdoor sheds and storage buildings. We have two sizes of flower boxes to choose from: a large flower box and this version for smaller sheds. Try our small flower box with smaller sized sheds like the 8x10 Gable Shed or the 8x8 Gambrel Shed. Add any of our shed accessories for instant beautification and functionality.